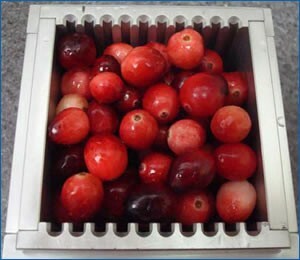 A processor of cranberries wanted a way to determine how to process individual lots based on the texture of the fresh product. Firmer cranberries are typically better suited for one type of products while the softer ones work better for another. The method used by the customer in the past involved simply making an educated guess based on past data. This was inconsistent at best. It was not known how the product would act in the processing until it was introduced. 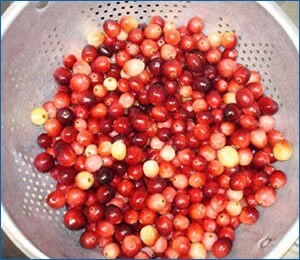 Cranberries that work well for juicing can yield an undesirable product if dehydrated also, if cranberries that would make a desirable dried product are juiced, the processor will lose margin since the dried product is more profitable. Several samples were sent prior to processing. The tests were performed using TM-2 Shear Press with a CS-1 Shear Cell. Each sample was prepared by rinsing the cranberries and then allowing them to drain for 2 minutes. The shear cell was then filled with the product based on volume. The test speed was 7 in/min (178 mm/min). The peak force and the work applied during each test, was recorded. 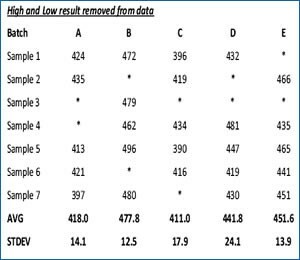 The customer then processed based on the preliminary results to confirm the validity of the measurements.